It is now time to get ready for summer. With this new water slide you will be the new hit for your area. Whether you want to put it in your back yard or at a commercial pool you are sure to have allot of fun in the sun. 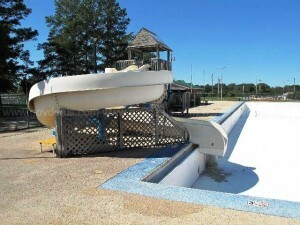 This slide is 12 Years old and is a Surface Mounted Open Body Water Slide. It is 70’ Long x 36” Wide. 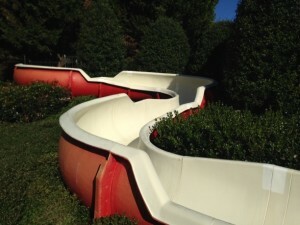 If you would like just the slide a price of $47,990 Includes: Resurfaced Fiberglass Sections and Connecting Flange Bolts. Compared to $80,000 for New Slide you will save allot of money. Price is negotiable so let us know if you are interested. 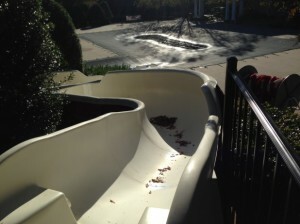 877-484-9621 or visit us at Pursuitzone.com for more information on this and other slides we have for sale. Hurry so you can add it before summer is gone. It is approximately eighty foot long commercial pool slide with one – two hundred ninety degree turn and a platform that’s approximately 10 foot high from the pool deck.